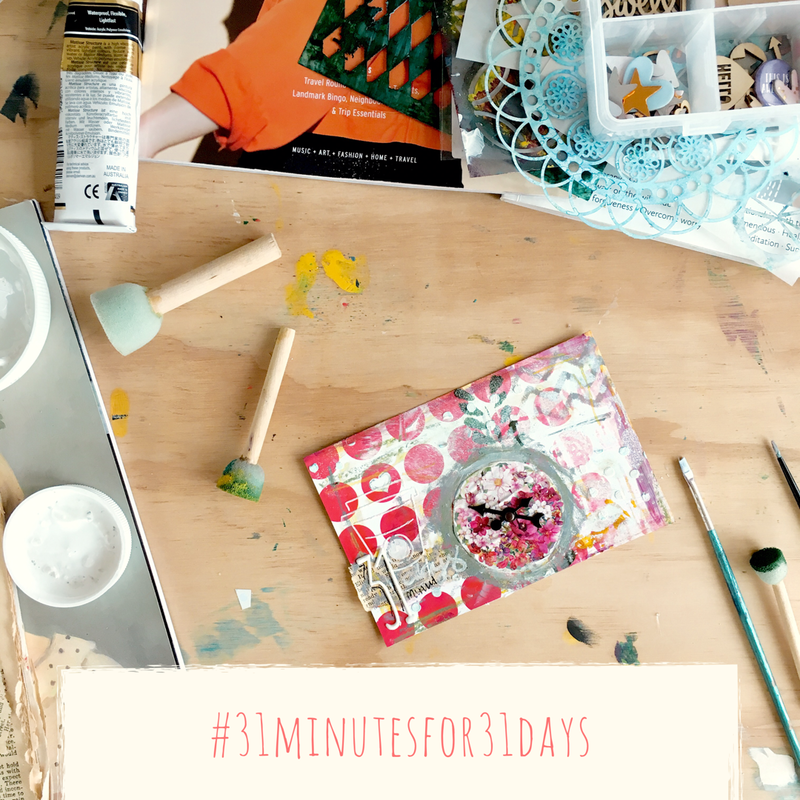 I was cruising instagram yesterday, and posts started popping up about the #31minutesfor31days challenge that @kellie.winnell runs each October. The basic idea is to spend 31 minutes every day for the next 31 days, working on a project. Last time I attempted this, I worked on minibooks that needed finishing (spoiler alert – I didn’t finish). Between my newly rediscovered mojo, and my Blogtober goals, it seems this challenge is a perfect fit to keep me on task. So what project will I work on? 31 minutes a day is 16hrs over the month, I could get a lot of a project done in 16hrs!! But instead, I’ve decided the project I really need to focus on is ME. A tired worn out mama is not a fun mama, and the best way to recharge my batteries is being creative. It’s my soul food. For the next 31 days, I pledge to make and create, to fill my tank and take care of me, for whatever random 31 minutes I can steal to myself. To create for the sake of creating. That’s a challenge I can get behind. Hello October, let’s make marvellous magic. I think it’s less about bravery and more about survival 😂 especially now I don’t have any child free time.